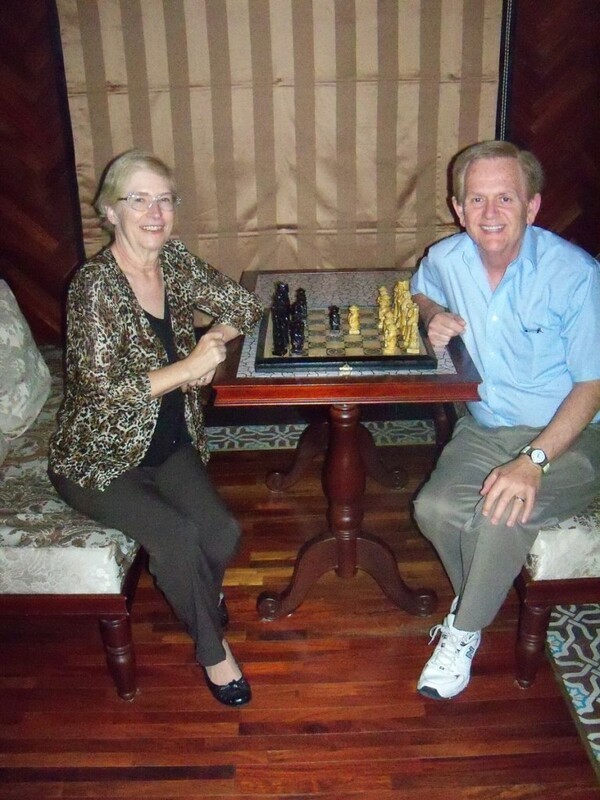 Dewain Barber is the former owner of American Chess Equipment and has been involved in scholastic chess for nearly 50 years. The Barber Tournament of K-8 Champions was the result of a need for a championship like the GM Denker Tournament of High School Champions. Mr. Barber learned chess in Norman, Oklahoma from his brother, and shortly thereafter joined a school chess club in 7th grade. He played in his first tournament, a scholastic event, in Tulsa that year. He played off and on during his school years. Upon graduation from Northern Arizona University, he started a teaching career that was to last 30 years in the Buena Park Elementary School District, Buena Park, CA. During his teaching, the staff at his school was asked to provide a volunteer club for the students. He chose chess and games. Later this was to become the chess club that he continued for 27 years. In 1974 he attended a meeting in the City of Orange which brought together organized chess from throughout Orange County, CA. Mr. Barber has assisted or organized the Bernard Morrison and Miley Staser Scholastic Chess Tournaments in Southern California. The Morrison event began in 1974 and the Staser was created in 1976. As Scholastic Chess growth increased in this country, he was part of that effort. He created “The Guide to Scholastic Chess” which provides information to school-based persons on how to start a chess club. This publication is now in its 11th Edition with over 40,000 copies which have been distributed and is currently available online, http://the80-20td.com/11thEditionGuideToScholasticChess-7-4-17.pdf. This publication has been given away free since its inception. He has been a member of the US Chess Federation LMA committee, the Scholastic Committee, and the Scholastic Council of the US Chess Federation. During this time he asked the USCF Delegates to create a National Scholastic Service Award. He has been chairman of the Denker Tournament of High School Champions and the Polgar National Invitational for Girls. In addition, he was co-sponsor of the motion to create the USCF National Girls Tournament of Champions and the National Senior Tournament of Champions.